An essential marketing tool for many companies is the ‘capability statement’. 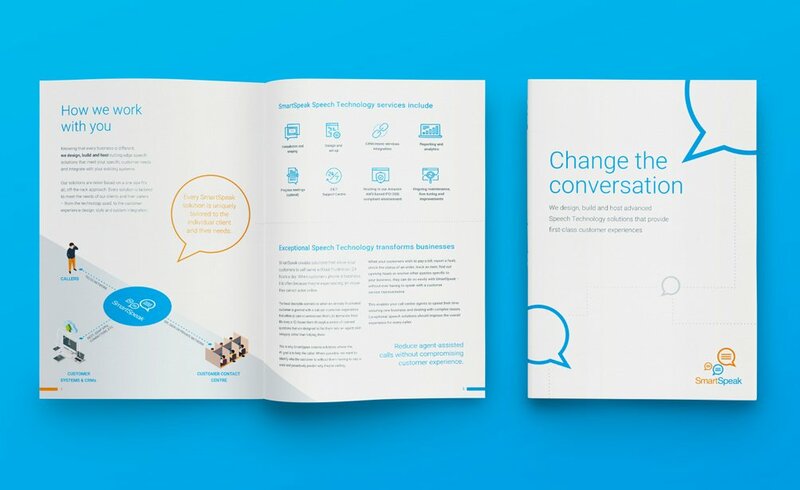 These are often distributed digitally by business development and sales teams, as well as being used as a printed leave-behind following meetings with prospects. Capability statement design is all-important because, in the hierarchy of collateral, this is one document that must leave a professional impression. 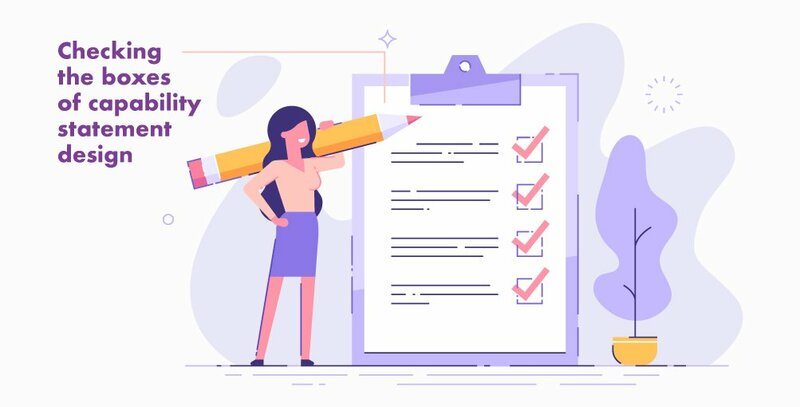 You might be surprised to learn that capability statement design is one of our most requested services here at Sketch Corp. 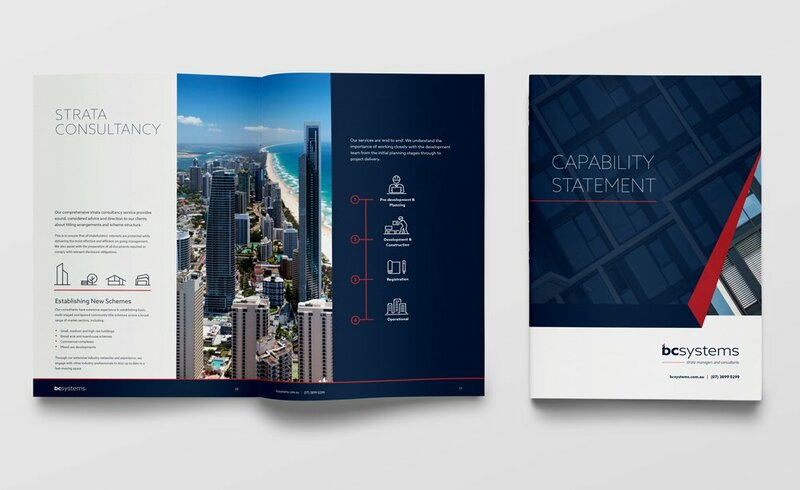 In 2018 alone, our boutique marketing & design agency delivered a whopping 45 capability statements for companies here in Brisbane. Now that might not sound like a lot, but it’s close to one per week! Based on the volume of enquiries we receive and the number of capability statements we deliver, we’ve rounded up some key considerations for you if you’re embarking on a new capability statement design in 2019. Given how important your target audience is (potential clients), it’s essential that your capability statement puts your best foot forward. Before we touch on copy (more on that later), let’s talk about capability statement design. The level of skill with which your capability statement is designed will leave an impression. Poorly executed, sloppy design will say something about your business that you’d probably rather it didn’t. If you’re delivering a professional service or merely want to be perceived as professional, this will need to filter down to your design and how you present information. You might own or work for a company that is highly capable with an in-depth level of expertise. The done thing in your business might be to itemise every single thing you deliver for your clients. As commendable as that is, resist the urge to make your capability statement long-winded and overly technical. We all know attention spans are decreasing. Presenting a prospect with an exhaustive 24-page document that reads like a technical manual probably isn’t going to produce the desired result. There’s a time and a place for detailed service offerings and demonstrating your technical know-how in relation to specific client scenarios. Your capability statement isn’t it. Remember, you want to leave this audience wanting more. If technical processes, IP or similar are a part of what you offer, consider how you can communicate these in a simple way that’s easy to understand. For example, infographics are a brilliant capability statement design device for explaining something that’s difficult to convey in words. What is your USP? Spell out what makes your company different (and of course, better!) than your competition. Who are you? Now not everyone is a fan of the ‘Introduction’, but we are! Introduce your company, talk about how long you’ve been in business, outline your credentials and describe how you treat your clients. What are your core competencies? Here’s your chance to list your services and provide a very brief overview of what they involve and the problems they solve. What experience do you have? Demonstrate credibility with examples of projects you’ve worked on and who your clients are. Are you accredited? Depending on the nature of your work, your potential clients might want to see that you tick all the boxes when it comes to meeting industry standards and licensing requirements. What are your achievements? If you’ve won awards or been recognised for your contribution to the industry, don’t be shy. Now about the copy. If you’re not a professional copywriter and you don’t have a strong (commercial) writer in house, we strongly recommend that you engage one to write your content. Poorly written, inaccurate or misspelled copy that misses the mark will not do your business any favours. You may be the best at what you do and you might have the most beautiful capability statement design known to man, but if you can’t sell yourself convincingly in words, what’s the point? Fact: great copy brings in business. It changes minds and pushes people who are on the fence through your doors. Your sales copy should be working very, very hard for your business and if it isn’t, a copywriter can get in and fix it. There’s such a thing as UX – for print! OK, so it’s not technically called UX when it comes to print, but how a user experiences your capability statement is important. What type of document are they being presented with? Are they receiving it digitally or via print? If the answer is digital, what type of file is it being presented in? It must be EASY for your user to click on and click through. Also, the file size can’t be too over the top. No one wants a 10MB+ file that takes forever to load (or worse, crashes their system). On second thoughts, don’t even send them a statement over 5MB. Time is precious! Be considerate. When your capability statement file size can’t be reduced, for whatever reason, it’s time to explore PDF alternatives ­– a la Issuu. If you plan to print your capability statement and use it as a leave-behind, that’s when you want to think about the print quality. How it looks, feels and weighs in your hand. A great capability statement design goes a long way, but it can’t do all the talking. It won’t win you work without the proper back-up. Your capability statement does not (and should not) replace building a good-quality relationship with a potential client. It’s an essential marketing tool for many businesses, yes, but simply having it and distributing it won’t clinch the deal. Need more advice about your capability statement design? Reach out to our studio.